In a food processor blend the extra virgin olive oil, maple syrup and egg. Add the mixed spice, vanilla bean paste, bicarb soda, 1 cup of barley & oats porridge, the flour and the milk. Process for 30 seconds or so to combine. Transfer to a mixing bowl and stir through the second cup of barley & oats and the dark chocolate chips. If the mixture is too thick add a splash more of milk. Using an ice-cream scoop, spoon portions of the cookie mixture onto the prepared tray and flatten slightly to form a rough cookie shape. Bake in the oven for 20 minutes or until lightly golden and cooked through. 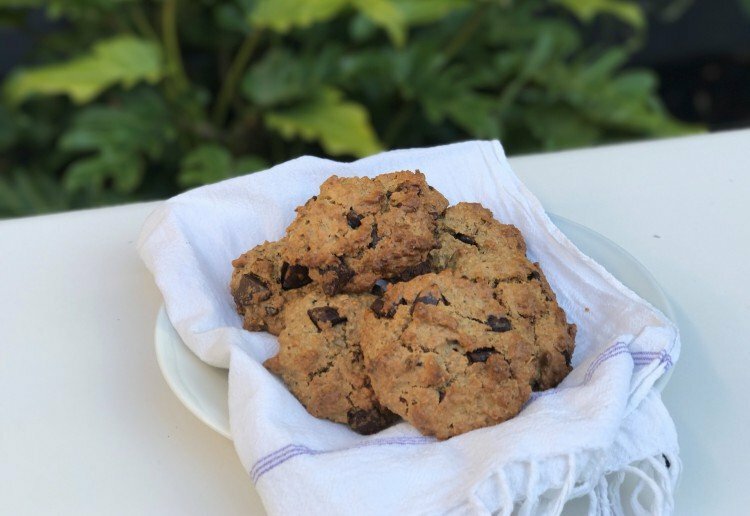 These cookies include Barley+, a brand-new range of wholegrain muesli and muesli bars called Barley+, which brings new innovation to the health food aisle.This new range is truly innovative, as it includes a superior wholegrain called BARLEYmax™ as its key ingredient.